Chrysler 300c Sedans – series represents 60 years of experimentation, knowledge, and experience resulting in the world-class level of driving technology, craftsmanship, and style that drivers and passengers alike enjoy today. The interiors of the Chrysler C series are designed with serious comfort in mind. Leather trim is set off by stitching patterns that were reworked to add to the already present sense of absolute class and style. Hand-sanded wood inserts put the accent on the top-of-the-line world-class craftsmanship found throughout the passenger cabin. The C series is also able to boast that it has the most interior volume in its class. The sculpted exterior chassis of our selection of both standard-length and stretch-length Chrysler Sedans speak of a combination of both power and class. The aggressive stance of these machines indicates vehicles that are built both to prowl and to move. 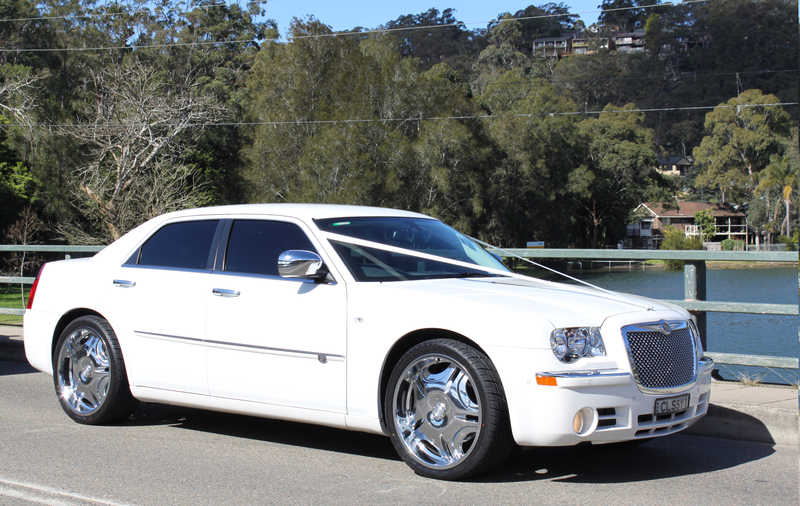 Our sedans are the perfect car for a wide variety of memorable events. Show up to your school formal in style. Gather your best friends for a great night out on your bucks or hens night. Heading out to a concert? How about an art gallery showing? Maybe you’re doing the evening up right with dinner at the best class restaurant in town followed by dancing. Show off Sydney to your guests in the most stylish manner possible. Head out for a picnic or a visit to one of the many beautiful spots found in and around our fair city. Arrive at your wedding as the beautiful bride who means business. The C series are the vehicles you want when you want your class. This is a car that tells onlookers that you’ve brought some attitude to your event be it a night out on the town, a school formal, a tour around the city for a business V.I.P., or your arrival on your wedding day. When you take a ride in one of our Chrysler Sedans you’re evoking the power of the tough guys and strong women who aren’t going to let anybody get in the way of their good time. If the road gets a little bumpy along the way you won’t be stirred, thanks to the touring suspensions that allow the 300C to stay smooth on the roughest of streets. Get class. Get style. Get in.